Aviation Updates Philippines - ​The Philippines' leading carrier, Cebu Pacific (PSE: CEB) continues to invest in customer-facing Information and Communication Technology (ICT) solution, in line with its commitment to dramatically improve customer service. CEB is investing over PHP60 Million per year over the next five years to implement digital platforms designed to make airport operations more efficient; and for a software system that verifies passengers' international travel documentation, via a real-time database of visa requirements of various countries. STATE-OF-THE-ART TECHNOLOGY. This new technology aims to provide a better customer service to guests. Photo by Dirk Salcedo PPSG/AUP. CEB tapped Levarti Ltd, a leading global developer of web-based and mobile platforms for the airline industry, to install its MAX Suite of mobile and desktop applications. Levarti's MAX platform includes MAX Airport, which is designed to streamline check-in operations. Linked to the carrier's internal systems, MAX Airport allows CEB terminal personnel to remotely check-in passengers, assign seats, facilitate payment for baggage and other ancillary services, and even print boarding passes. 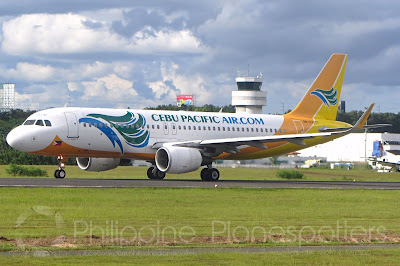 Its 62-strong fleet is comprised of 2 Airbus A319, 36 Airbus A320, 8 Airbus A330, 8 ATR 72-500, and 8 ATR 72-600. Between 2017 and 2022, CEB expects delivery of 7 more brand-new Airbus A321ceo, 32 Airbus A321neo, and 8 ATR 72-600.